For the CNI, problems such as informality, low competitiveness and productivity, and the lack of incentives play against private investment. Informality, low competitiveness and productivity, isolation, high costs of moving to formality and the lack of a clear incentive policy are some of the obstacles that hinder private investment. This was revealed by a diagnosis presented by the National Chamber of Industries (CNI) yesterday within the framework of the forum “Lessons learned and challenges for private investment and the development of the industry”. The conclusions of the work, elaborated during several months by the CNI, were presented by the director of the business entity, René Sergio Pereira. In addition to these problems, the strengths, opportunities, challenges and threats of the sector were also exposed. “Among the urgent issues that we must address are the lack of institutions that generate that the companies that are affected by the contraband do not know who to turn to, because nobody really takes charge. Also, this vacuum of clear rules encourages informality,” he explained. In this regard, Pereira indicated that in the country formalization costs are high, which means that emerging companies do not have incentives. This is to the detriment of the economy in general and restrains these productive units from working under the rules and investing for the generation of jobs. Regarding the low competitiveness, the expert said that this is presented in the first place by the gap generated by the fixed exchange rate in relation to neighboring countries and the isolation of the country from international markets. “To the problem of not having sea coast, one adds a deficient Internet and the lack of connectivity of the country with the international aerial routes”, added. In order to overcome these obstacles, the CNI proposes to optimize tax incentives to strengthen private investment. “They can be applied from proposals of intermediate regimes, special regimes for companies that are growing, to the generation of a single regime. We must improve the relationship with the tax structure, and that it takes into account the differences between companies and items,” said Pereira. In addition, the CNI’s suggestion includes the differentiated protection of industrial sectors, the establishment of selective policies at the municipal and departmental levels, and the flexibilization of labor standards. “Currently, the labor regime makes justified disengagement practically impossible, which not only plays against productivity, but also against the welfare of workers,” he said. 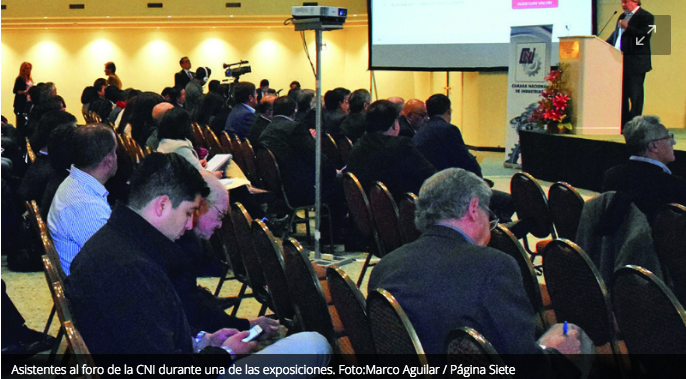 The forum was attended by former authorities of Peru and Uruguay. – Peru. According to the former Peruvian economy minister Alonso Segura, in his country private investment was encouraged in recent years through the establishment of special labor regimes for some of the industry sectors. Their particularities were taken into account and they opted for the sophistication of their productive processes. – Uruguay. In that country, according to the former economy minister Fernando Lorenzo, private capital grew thanks to an investment promotion program based on parameters that, when met, generated tax exemptions. It also opted for the promotion of key sectors of the industry through additional sectoral benefits.